Clients hire the Steinberg Law Firm because we have been a trusted member of this community for more than 85 years. 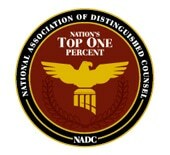 We apply the same level of care and conviction to every client we serve. Whether we are handling a workers’ compensation claim, auto accident claim, personal injury claim, or other matter, we treat every case as professionally and carefully as we possibly can. We are here to serve you, and our experienced attorneys work hard to get the justice and compensation you deserve under the law. Here are some recent settlements we’ve achieved on behalf of our clients.